By buying this product you can collect up to 27 loyalty points. Your cart will total 27 loyalty points that can be converted into a voucher of 8,10 €. RRP: 53,50 € tax incl. Calcium and phosphorus supplement with MSM, amino acids, copper and vitamin E for optimum bone growth and development. Suitable for: Young stock and in-foal or lactating mares. 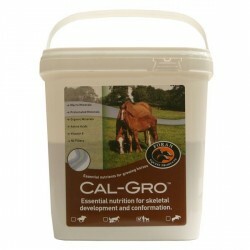 CAL GRO provides the essential nutrients calcium and phosphorus in the ideal ratio for strong bone growth in young horses. Most skeletal development occurs during the first two years of a horse’s life, it is of critical importance that bone density is maximised in this period. CAL GRO also contains MSM, magnesium, copper and zinc, which are necessary for bone growth and cartilage development. Lysine is the limiting amino acid in bone growth and present in mare’s milk, CAL GRO also contains lysine to maximise bone growth even on low protein diets or restricted pasture access. Silicon which adds strength to bones, joints, ligaments and tendons is also provided by CAL GRO. 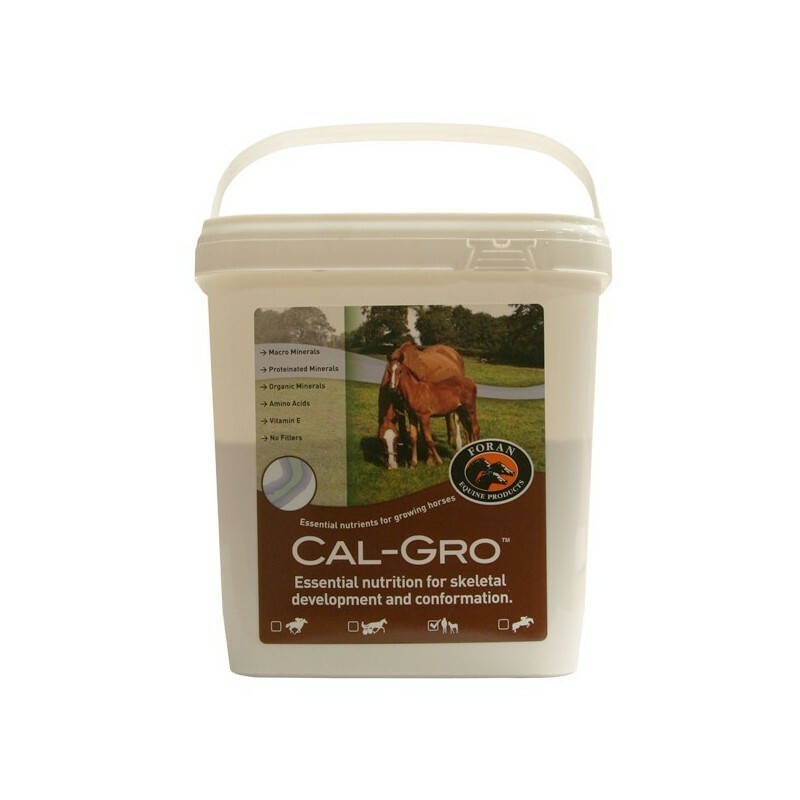 CAL GRO provides all the essential nutrients for optimizing bone and joint development during the rapid growth phase in horses. Daily supplementation in late gestation and lactating mares provides nutrient transfer to the foal. Continued supplementation of the weaned foal until skeletal maturity ensures strong bones and healthy joints. Nutrional analysis : Calcium, manganese, phosphorus, MSM, magnesium, L-lysine, silicone, DL methionine, zinc, vitamin E, copper.